Anduin Radio is celebrating 10 years of Lord of the Rings Online this Saturday with an eight-hour Internet radio broadcast starting Saturday at Noon Eastern! Click here to listen to this long-running German radio station! CaerArianrhod has created an essence gear calculator in English, French, and German! Click here to find out more about it! Mandura has created a Virtue and Trait Point Tracker! Click here to get it. Theomur has a new video of "Lifehacks" for LOTRO! Click here for tips and tricks! Die Bunten Vögel are celebrating a decade of LOTRO with a new song! Click here to hear it! Helearan puts together cinematic videos on his YouTube channel, and wants to share them with the world. Click here to check them out! Amorey has posted some new LOTRO artwork on the forums. Click here to see them! The LOTRO sub-Reddit has hit nine thousand followers! Click here to join them! MassivelyOP has started a new Book Club, and they are starting with LOTRO! Click here to learn more. Polnolunie is hosting a memorial concert called "Eternal Fire" on May 9th on Laurelin. Click here to get more info. The Little Wanderers host The Night of the Muses every Wednesday starting at 2:30 PM Eastern in The Shire on Laurelin to play music and host an "open mic" event. Click here to support them! Directorate is a six-year-old Rank 10 Kinship on Crickhollow with more than 180-characters in their roster and an equal balance of men and women members. The Kin maintains a forum, library, screenshot gallery, and more! The Kin is looking for focused people committed to playing the game. Find out more about them by clicking here! It's a little-known fact that Gandalf's hat can also ______. LOTRO Players News celebrates its 200th Episode! Click here to join the celebration! MJ dives into LOTRO's 10th Anniversary in the latest Massively Overpowered livestream. Click here to check it out. Zogog gets something to unbox. Click here for the video! Aradathalion continues the "Embers of Hope" fiction with Chapter 5! Click here to read it. Stormcastle Jackson explores Bilbo's House. Click here to watch it! Louey7 is getting ready to launch a new video series. Click here to follow him on Twitter and be notified when it is ready! Thank you for making our 10th Anniversary Celebration Livestream a big success! Click here for the playlist of highlights from the 12-hour stream. Severlin chats with MassivelyOP about the anniversary event, Mordor and more! Click here to read it. Cordovan brings the fireworks in the latest +Cord of the Rings. Click here to watch it. Chance Thomas has put together his top ten compositions for LOTRO! Click here for the playlist. 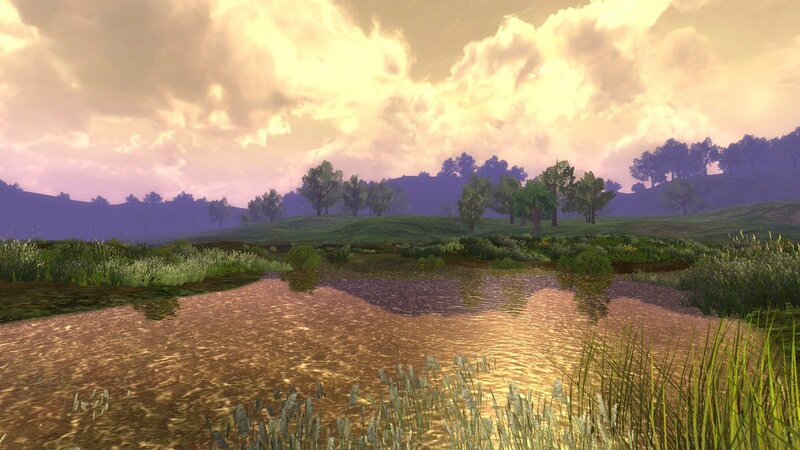 Fibro Jedi finds a tranquil scene in this week's screenshot. Click here to follow him on Twitter! Hobnanigans is back, now through May 8th! This is the final weekend for the Anniversary Festival! The event runs through May 8th. Click here for more information. The Scavenger Hunt continues! The Hunt runs through July 13th. The Weekly Coupon will get you a free Dye: Black x1 with the Coupon Code PAINTEDBLACK, now through May 11th!